Perhaps the most impressive of cloud formations, cumulonimbus (from the Latin for “pile” and “rain cloud”) clouds form due to vigorous convection (rising and overturning) of warm, moist, and unstable air. Surface air is warmed by the Sun-heated ground surface and rises; if sufficient atmospheric moisture is present, water droplets will condense as the air mass encounters cooler air at higher altitudes. The air mass itself also expands and cools as it rises due to decreasing atmospheric pressure, a process known as adiabatic cooling. 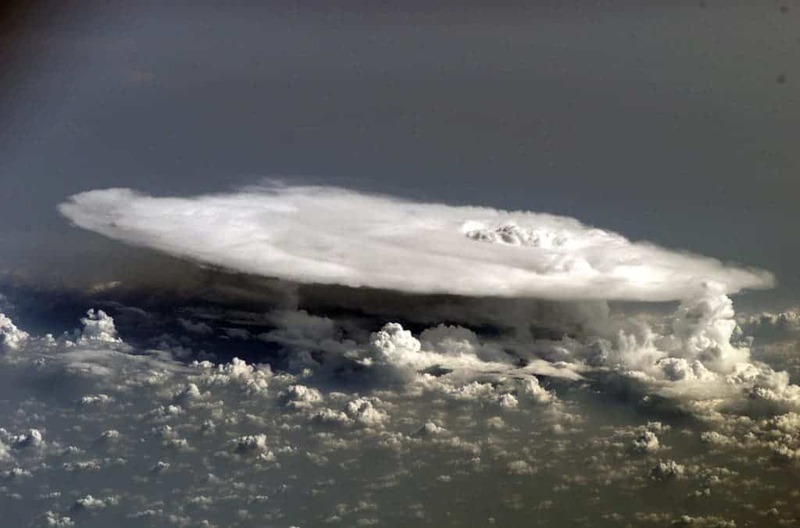 This type of convection is common in tropical latitudes year-round and during the summer season at higher latitudes.